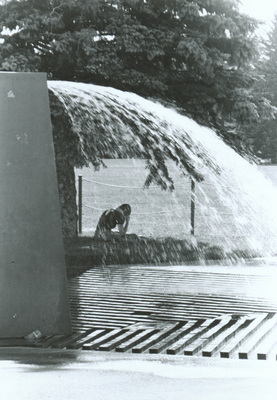 "Cooling off in Environmental Place"
An image of the sculpture Environmental Place on the campus of the University of Northern Iowa in Cedar Falls, Iowa. The sculpture by Hu Hung Shu was installed east of the Schindler Education Center in 1973 and is an Iowa Art in State Buildings Project commission. "Cooling off in Environmental Place" (2019). Art on Campus Photographs. 86.